Special offer from Athens daily from 07:20 to 19:00 on a one-day cruise to three islands of Aegina, Hydra, Poros with dinner and music program on the ship. Order your tours and transportation 24/7 without prepayment! Special offer for a transportation from the airport to Athens on a licensed Mercedes with up to 4 seats capacity. Special prices for tours and transfers by cars and mini-buses Mercedes-Benz. On an individual tour of Athens with a visit to the Acropolis, transportation from the airport on a Mercedes and an English speaking guide. On a One day cruise tour around the three islands of Aegina, Hydra and Poros with dinner and music on the ship and transportation to the port and vice versa, from 07-45 till 19-15 on a daily basis. Write an e-mail by filling out the form in the Contact section I will reply within 10 minutes. For those who wish an individual tour, I can arrange a tour around Greece with a personal English speaking tour guide, any day. I offer you individual and group tours with a licensed professional guide. You will be transported without intermediaries on VIP cars and vans of the Mercedes-Benz brand, at affordable prices. All our cars are licensed for transfers and tours. 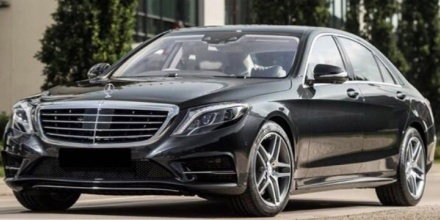 Mercedes-Benz E-Class VIP, A/C, 4 seats and plus the driver. 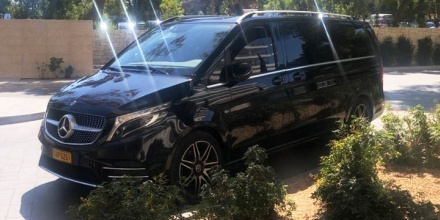 Mercedes-Benz Viano VIP, 2 A/C, 7 seats plus the driver. Mercedes-Benz Viano VIP, 2 A/C, 8 seats plus the driver. Mercedes-Benz Super Sprinter VIP, 2 A/C, 14 seats plus the driver. 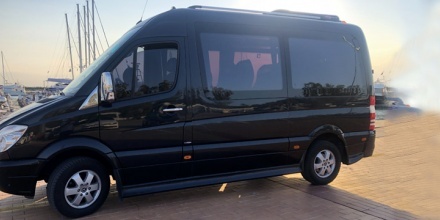 Mercedes-Benz Super Sprinter VIP, 2 A/C, 17 seats plus the driver. All cars and vans are owned by me and are brand new Mercedes with leather interior, a/c. All cars are licensed to transfer tourists. The photos of cars and their number signs can be seen in the “my cars” section on the left menu. Wherever you spend your holidays, you can always find a day or two for excursions in a remarkable place. In Greece, the cradle of European civilization, there are plenty of such places. 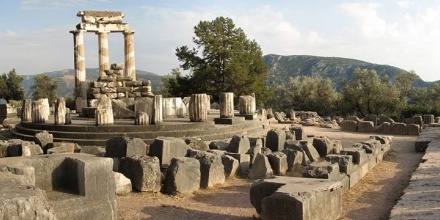 Accompanied by a Guide, you can visit places such as the Acropolis, the Temple of Poseidon, the monasteries of Meteora, Ancient Olympia, Mycenae or the “navel of the earth” in Delphi. Rich history, unique works of art and the marvels of the ancient Greek architecture await you as well as you will get to know the national traditions of this land. The cost of individual and group guided tours, the cost of the guide and of the transfers on the licensed Mercedes-Benz from the airport to Athens, will be available within 15-20 minutes after your request. When you order a transfer or tour, an arrangement will be made for a person to meet you in the he arrival hall of the airport or in the port of Piraeus, to assist you with the luggage as well as to settle you in your selected hotel. The Greek law prohibits to greek visitors at the airport or to conduct tours on cars and vans without license. We kindly encourage you to ask for the license of the car you have selected, otherwise your life insurance won’t apply in the event of an emergency or an accident. The availability of the license for the car or the guide you have selected, can be very easily verified, just ask for a receipt with seal after a tour or transfer. The receipt must show all of the details including the VAT, and not simply say that there is a license. Hints and tips when booking hotels and restaurants in Athens. 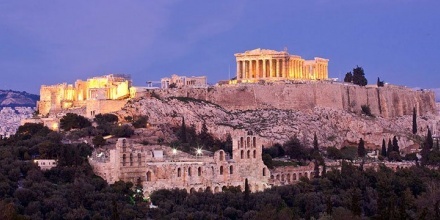 Guided tours from the cruise ship of the port of Piraeus to Athens and the islands. 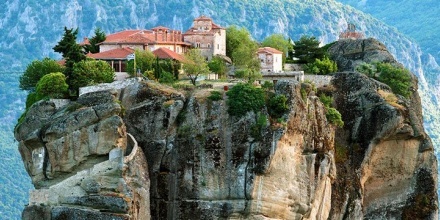 Services of a professional licensed tour guide in Athens and Greece. Our own vehicle fleet of new licensed cars and vans Mercedes-Benz. Organization of Vip greeting at the airport at the passport control with a sign of your choosing and assistance with the transfer of your luggage to the car. Taxi services in Athens with 4 and 7 seats, with a professional driver. Your transportation to Athens and in Greece on cars and vans Mercedes-Benz. Organization of weddings and wedding management. Provision of limousines for weddings. The Greeks are very friendly and hospitable people, who gladly accept guests in their country and that is the main reason why the holidays in Greece are always comfortable and have a friendly atmosphere. Welcome to Greece, the land of the ancient gods and myths - the cradle of civilization. With kind regards and best wishes, Ioannis Dalianidis.